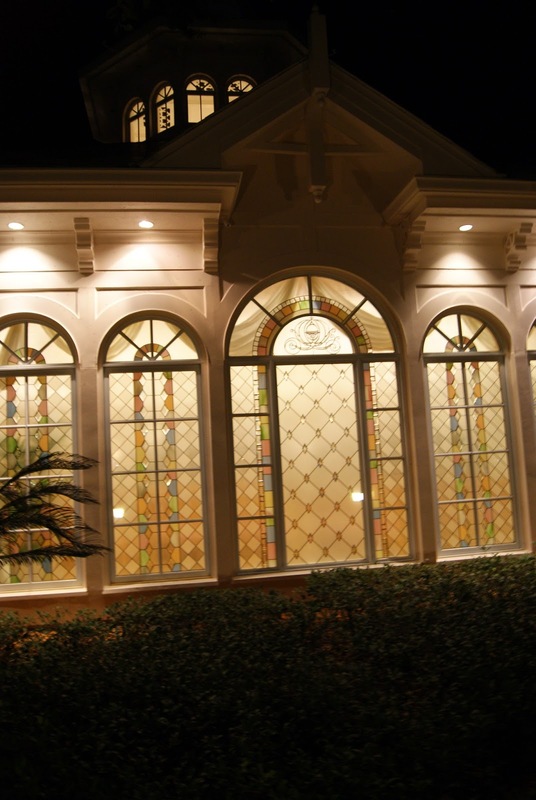 Serving as the iconic image of Disney Fairytale Weddings and Honeymoons, the Disney Wedding Pavilion at the Grand Floridian is one of my favorite sites when taking the Resort Monorail from the Magic Kingdom. It’s also the site of our wedding ceremony this November! 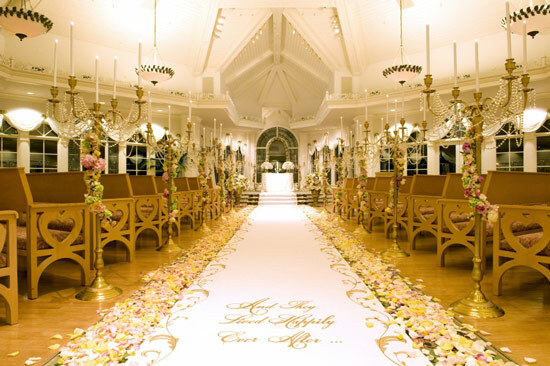 Do any kind of web search on the pavilion and you’ll see images of it’s beautiful aisle and alter. While the images are stunning, it can be difficult to decide if that is the place for your wedding ceremony. The last time we were in Florida, Justin and I took a little trip over to the pavilion to take a look around and what won me over on this beautiful location were the perfect little details. I’m warning you in advance, these are not my best photographs. 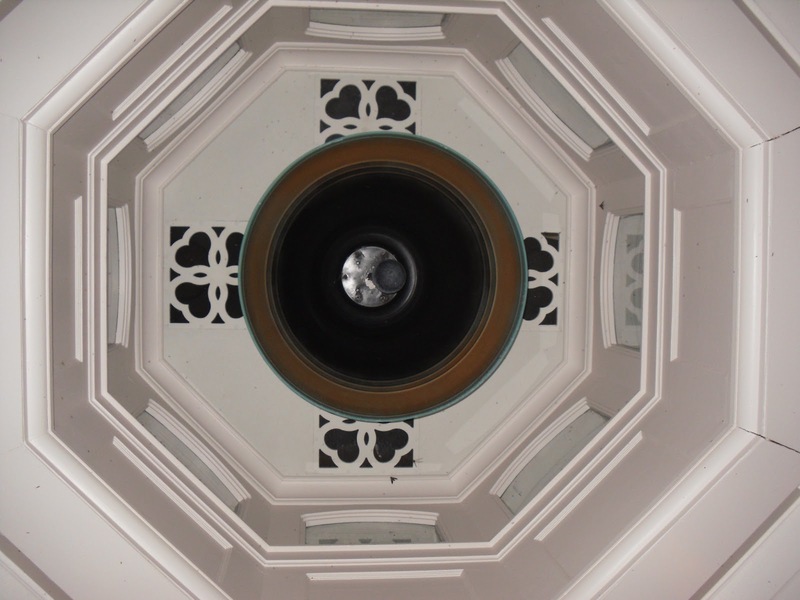 It was very very late when we were creeping around the Pavilion and decided to sneak closer. I will never ever ever be a spy photographer. This is the scene from the alter. And while it may be a little difficult to see, smack dab in the middle of the window, on the horizon, is the Cinderella Castle. You can’t spit at the Disney Resort (I meant this metaphorically, but I’m pretty sure they frown on it literally too) without hitting some little thing that screams Love! Marriage! Mickey! 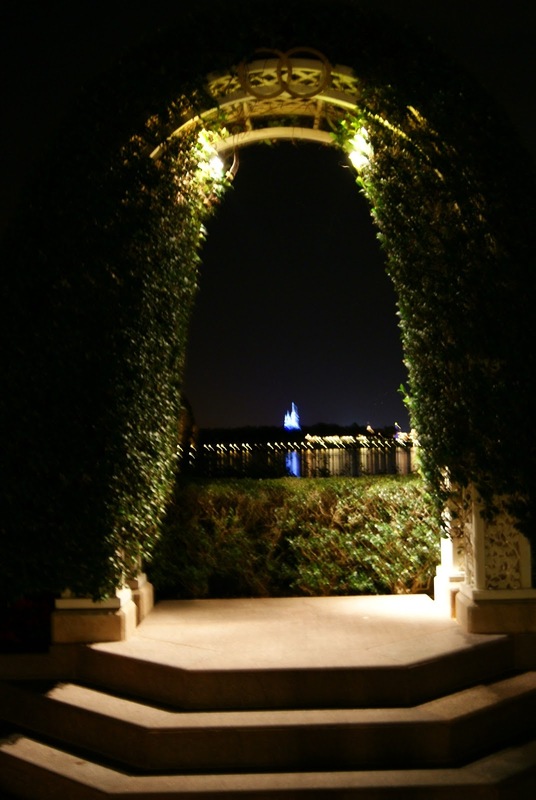 My favorite thing was the cutest little wedding arch with a picture perfect spot to capture the Magic Kingdom. 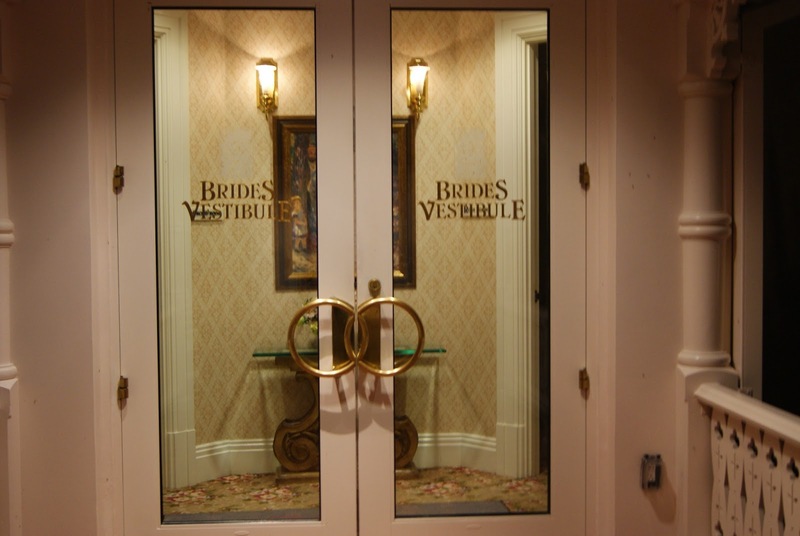 Disney Brides: If you’re looking over ceremony sites and can’t seem to wrap your head around the Wedding Pavilion’s price over seemingly cheaper priced locations, let me give you our reasoning. Take into consideration if you reserve an outside location you will have to rent a sound system ($950) and ceremony musicians. 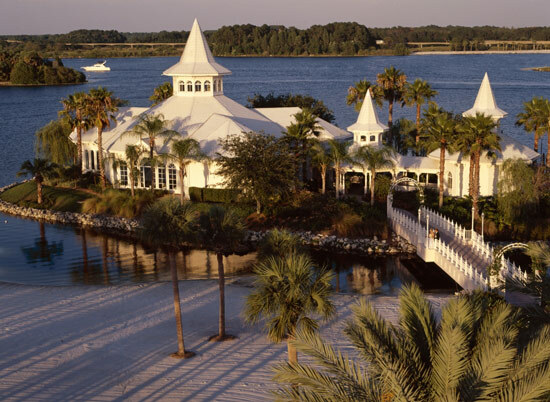 Also, while Disney provides an alternate location for poor weather, consider the facts that extreme heat isn’t considered in-climate (it’s considered Florida) and there’s really no saying what your new ceremony location could look like. The Wedding Pavilion $3000 fee includes an organist, an all-weather location (beautiful rain OR shine), and an included sound system. All reasons why we chose it. I can’t wait to share more adventures in Disney Wedding Planning with you!